Television star, Rannvijay Singha and his wife Prianka Singha‘s daughter Kainaat Singha recently turned two years old. The couple hosted a birthday party for their little princess. It was a grand celebration and saw many star kids in attendance. All of them looked quite adorable too! Birthday parties are really special for most of us. We have special memories attached to the festivities and everything that happens around it. Like inviting your friends, laughing your hearts out, dancing, dropping food on your new clothes or someone else’s (LOL – So many times) and the hundreds of photos. All these memories remain close to our hearts and it is no different for the star kids of Bollywood. 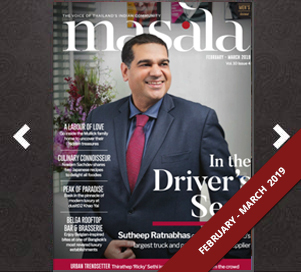 We came across one such captured moment recently. I am sure, everyone in this photo including Taimur Ali Khan, Inaaya Naumi Kemmu and birthday girl, Kainaat will remember this and probably laugh about it someday. 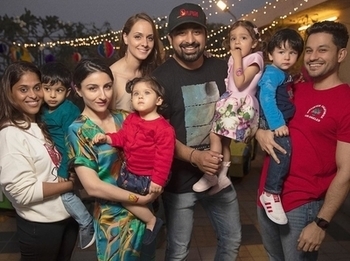 The grown-ups, Rannvijay, Prianka, Soha Ali Khan, Kunal Kemmu and Reena Gupta are all smiles. The kiddos don’t seem to be in the mood to pose but look absolutely cute nonetheless! I am sure you also have many such photos, I sure do and I am going to revisit some of those memories now. May such cute photos of these star-kids continue to come our way! Click here to see the video of Kainaat Singha’s birthday!